Honda first launched the HRV in 1999. Back then, it was one of the ugliest, most uncool cars on the planet. It literally made people flinch! No wonder Honda pulled the plug on the HRV just two years later – in 2001. Come 2015, SUV sales are going through the roof and Honda decides to give its baby SUV another chance. And boy, has it grown up! Honda’s are by definition boring – unless you are talking about their motorbikes. Their cars are not meant to be exciting – they are meant to be functional and reliable. It is almost as if Honda is purposely trying to make their cars not look good! 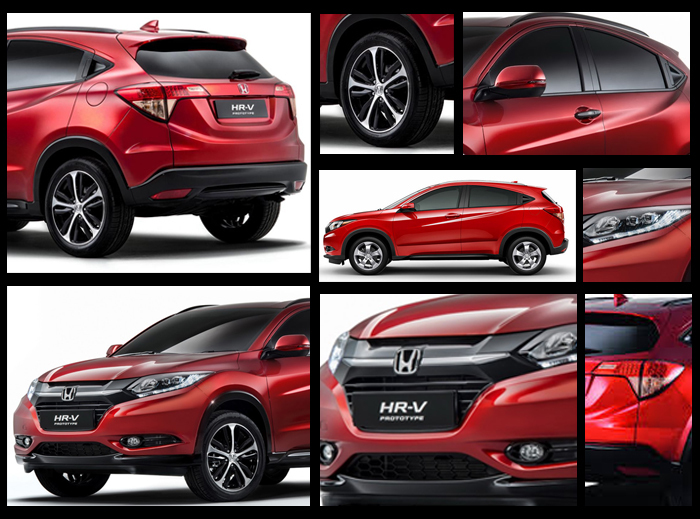 However, the HRV is a completely different story – it has striking visual appeal. If the first generation HRV was like an awkward teenager with acne, braces, spectacles and a frail body, this one is a muscular hunk! The car looks beefy, energetic and dynamic. The earlier model felt like it was designed by a 3 year old. This one comes across as incredibly stylish and likeable. It is hard to guess that this crossover, with its coupe-like silhouette is actually based on the Jazz platform. 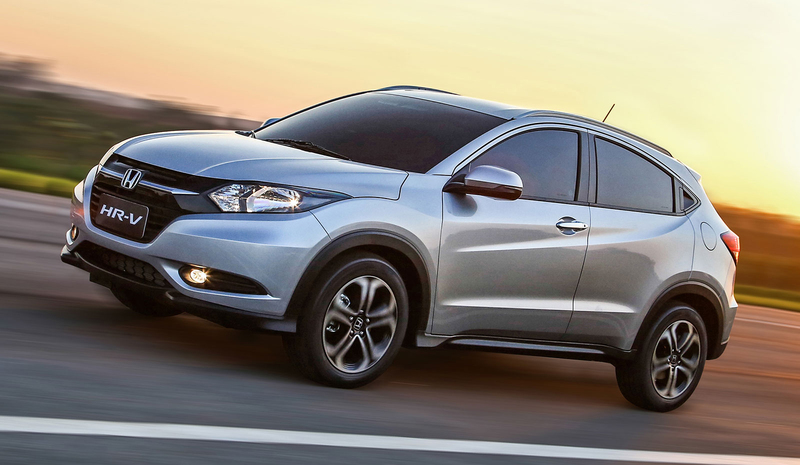 The HRV is not small though – it is almost 300 mm longer and 78 mm wider than the Jazz. The front end gets a lavish slathering of chrome plating with a large Honda logo. The headlights appear modern and chiselled. There are lots of lines and along the car – to some, this might feel a bit fussy but it has a definite youthful exuberance to it. Surprisingly, the back end looks nice too – many cars are good to look at from the front and the side but when you get to the back, it seems as if the designers lost interest and became impatient; like they were late for lunch break or something! The HRV has a taut, well-proportioned derriere. If you want a family car with a touch of character – The HRV makes a tempting proposition! It blends the reliability and functionality with good looks. The quality of materials is better than in the Jazz and the city. The plastics are softer and even the base VTi model gets cloth door tops. The interiors feel roomier than they actually are, thanks to smart utilisation of space. For example: Honda has installed an electronic handbrake instead of the conventional lever, this frees up space for a cup holder. Moreover, the cup-holder can be tweaked to hold bottles and even a small handbag. The touch-screen multimedia interface appears hi-tech and smart. Even the climate control feature is operated via a touch pad. The front seats are pretty comfy, although we would have appreciated a bit more thigh support. The rear seats are surprisingly spacious – they offer decent head, leg and knee room. We were expecting the rear to be cramped, given the swooping roof-line. However, there is enough space here for two adults, although three will be a bit of a squeeze. The HRV is also equipped with an 18-way Magic Seat system (just like the one in the Jazz). Boot size is considerably larger than rivals – 1032 litres with the seats folded and 437 litres with them up. 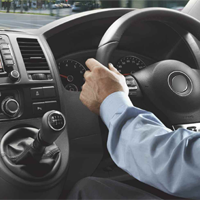 All the HRV models get a 1.8 litre, 4 cylinder petrol engine, which is mated to a CVT automatic transmission. This is the same engine that powers the Civic. It produces 105KW of power and 172 Nm of torque. These numbers do not sound all that impressive, but remember that this is essentially a spruced up Jazz. In fact, the HRV feels pretty peppy to drive – acceleration is smooth and linear. 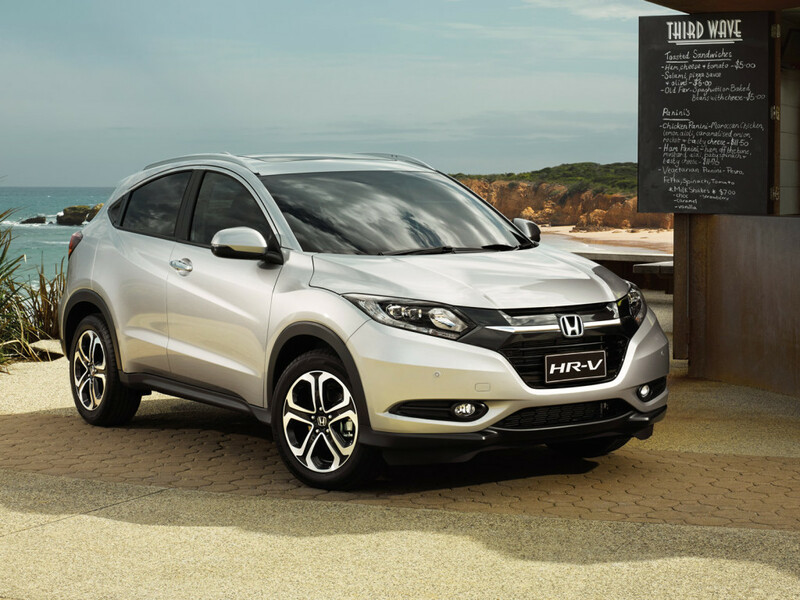 There are rumours that Honda will soon launch the HRV with a turbo diesel engine. The diesel mill might get a manual transmission. The HRV is pretty fuel efficient. It drinks 6.9 litres of fuel per 100 km. Honda said that they would target the Audi Q3 as a dynamic benchmark. If you take into the account the fact that the HRV is 20,000 dollars cheaper than the Q3, you would say that Honda have done a pretty decent job. There is very little body roll in the corners. The steering is light but not overly light – it offers a confidence inspiring weighted feel at high speeds. The rear end gets torsion beam suspension and the HRV manages to keep its composure even on extended stretches of bumpy roads. The car goes up steep inclines without breaking a sweat. Overtaking on the highway is a breeze. The CVT does get a bit noisy when pushed hard. However, there is no engine noise if you drive with a light foot. The HRV gets fantastic cabin insulation – more accord-like than Jazz. This adds to the premium feel of the vehicle. The only downside in terms of drivability is that rear visibility is limited due to the thick c-pillars and the small rear windshield. Thankfully, a rear view camera comes as standard on all HRV variants. The Honda HRV boasts of a 5 star ANCAP safety rating. It gets dual frontal, side-chest and side-head airbags as standard. ABS, Electronic Brake Distribution and brake assist functions are also standard. All seats get a seat belt reminder warning. Other safety features include lane departure warning, front and rear parking sensors and automatic high beams. The HRV is dynamically sound and fun to drive. It is stylish, modern, fuel efficient and has a big boot. It is reliable, safe and comes with a 3 year, 100,000 km warranty. It ticks all the right boxes as a family car. Which brings it all down to the price – other cars in the same segment have lower base prices. For example: The Mazda CX-3 is priced at $19,990 – a full five grand cheaper than the HRV’s tag of $24,990. At first glance, the HRV seems ridiculously expensive. However, if you look deeper, you will notice that the HRV is much better equipped. The base model CX-3 has manual transmission; the HRV has a CVT manual. The CX-3 gets steel rims – the HRV gets alloy wheels as standard. The HRV has a top-of-the-line touch screen infotainment system, climate control, electric mirrors and windows, a better engine. The fact is, the HRV packs a lot more punch than its rivals – be it in terms of technology, dynamics, drivability, space or equipment. If you are in the market for a small SUV, we recommend test driving the HRV today!